Trivia | It's "All in WDW"
Rehabilitate? Or, Eliminate? 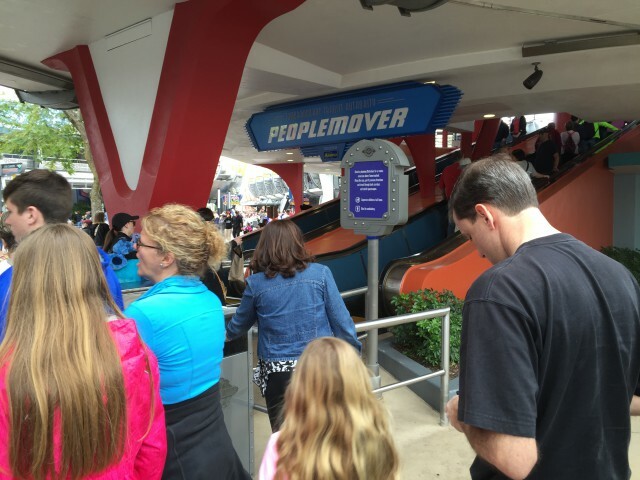 – Tomorrowland Transit Authority PeopleMover! Before we jump into this provocative topic, let me ask … did you take a shot at Tuesday’s trivia “challenge”? No? Then, by all means, please stop back! It’s a quick “quiz”, my friends. Only four questions! Transport Yourself into TTA Trivia Tuesday! So, when it comes to the answers, everyone, here they are! Let’s take a few minutes to reveal some fun facts about the Magic Kingdom’s iconic PeopleMover! First up, this beloved attraction was originally called the WEDWay PeopleMover! I had said, “Let’s start with an easy one, shall we?” This question lived up to that billing, as I fooled next to no one! Good work! The next question proved to be a bit tougher, however. 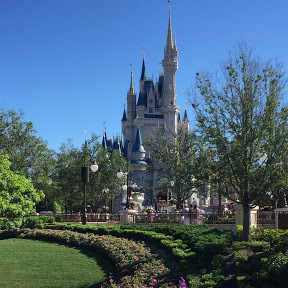 A lot of you responded that the TTA started its “cruise” on Magic Kingdom’s Opening Day. In actual fact, it kicked off operations on July 1, 1975! Having said that, you did very well on Question #3. From a sponsorship standpoint, the ride is currently presented by Alamo! 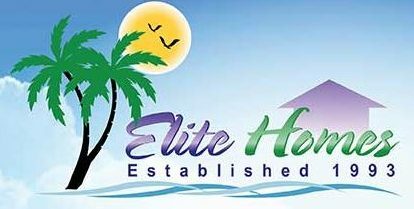 Did you know that it was originally sponsored by the Edison Electric Institute? Huh? What was/is that? Finally, I asked you how long this beloved journey through the land of tomorrow lasts. The most-popular answer was 10 minutes and 3 seconds, and that was absolutely correct! Wow! Great job! The last time that the TTA took an extended “time-out” for a refurb was in the Summer of 2009. It was lined up with the most-recent major overhaul of Space Mountain. Tomorrowland Transit Authority PeopleMover! Should we rehabilitate? Leave the ride and theme alone, but give it yet another facelift, maybe? Should we eliminate? Replace the TTA with a new attraction altogether? Or, should we simply leave it completely alone? Your task, today, is a two-part job. First, what’s your VOTE? Second, if you want to rehabilitate, what do you suggest we do? If you want to eliminate, what should take its place? In other words, what’s your “Project Plan”? Leave your comments on this post, on Facebook, on Twitter, or on Reddit! This is our “take” on Imagineering, folks. It’s “Re-Imagineering”! What say you? Get to work! Welcome back, my friends! Did you survive your Mondays? Hey, if your week started off on a sour note, pop back to yesterday’s post. A fantastic ride-through video there! Take a seat and enjoy the ride! Of course, it’s Tuesday, now. A great time for trivia, I’d say. TTA trivia Tuesday! 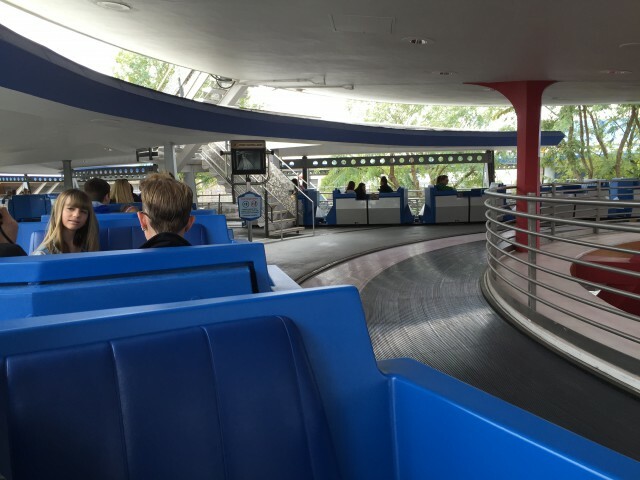 Let me ask you … how well do you know the Tomorrowland Transit Authority PeopleMover? Let’s start with an easy one, shall we? This beloved attraction was originally called the _______________. It was opened on _______________. From a sponsorship standpoint, it is currently presented by _______________. Finally, this leisurely “cruise” through Tomorrowland lasts for _______________ minutes and seconds. How Well DO You Know Tomorrowland’s Hyperactive Space Ranger?! What a week, eh, folks! 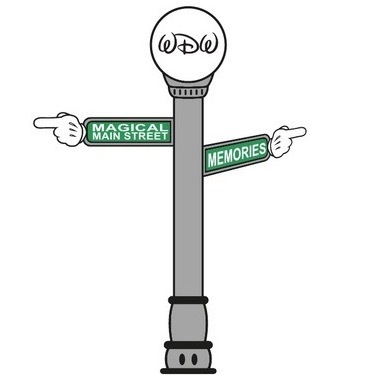 Re-imagineering. Trivia. Nostalgic ride-through videos. And, who was, more or less, at the center of all of it? Buzz! What a “hyperactive” Space Ranger, he is! Rehabilitate? Or, Eliminate? – Buzz Lightyear’s Space Ranger Spin! Space Ranger Spin TRIVIA “Dash”! Feeling Nostalgic, Folks? 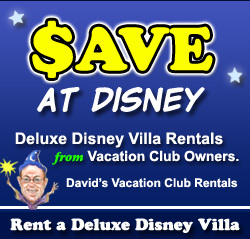 Take a “Dreamflight” at Disney! Having said all of that, today, I’d like to pass along the answers to our trivia questions. How well do you know Buzz? Let’s see! Trivia #1: Magic Kingdom’s Space Ranger Spin officially opened on November 3, 1998. So far, that has been your second-most popular answer. Trivia #2: Buzz Lightyear’s Space Ranger Spin replaced Take Flight. The most popular response received was Delta Dreamflight, but, in reality, that popular version of this dark ride was actually followed by both Dreamflight and Take Flight. 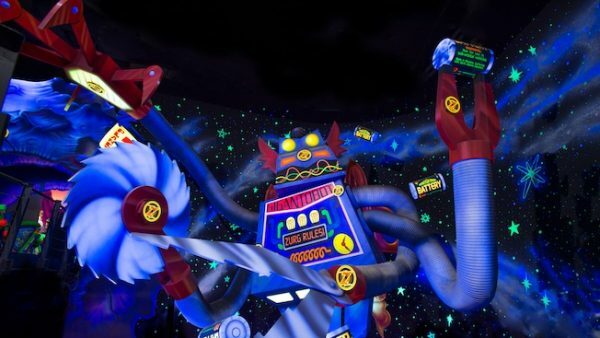 Trivia #3: In the rides, Evil Emperor Zurg is attempting to steal Crystallic Fusion Cells … or batteries! The majority of you got that one right, although Power Discs was a popular response as well. Trivia #4: Even though all share the same plot and major characters, the rides are named differently across Disney’s parks world-wide. Buzz Lightyear Astro Blasters was the name used twice. In fact, Both Disneyland and Hong Kong Disneyland offered their guests rides on Buzz Lightyear Astro Blasters! Most of you “scored” on this one too. Great job! Trivia #5: In 2017, Disney closed the aforementioned Hong Kong Disneyland’s Buzz Lightyear Astro Blasters. It is currently being replaced by a ride themed after the Marvel character … Ant-Man? Really? Like me, most of you were hoping for an Iron Man attraction. Finally, I asked you to register your opinion – of Buzz and its various predecessors, your favorite is unquestionably Buzz Lightyear’s Space Ranger Spin itself! What a landslide! Stop back tomorrow, my friends, and we’ll render your decision. Rehabilitate? Eliminate? What say you? We’ll discuss your verdict … as well as cover your comments!